Change the Look of Your Interior With Decorative Concrete Floors. Perfect Solution For Commercial & Residential Spaces. Welcome to Beyond Concrete, your local provider for epoxy flooring in Hoffman Estates and surrounding neighborhoods. Epoxy flooring is an excellent option for both residential and commercial applications. It has many benefits that all property owners can take advantage from: its resistant to punctures, impacts, abrasions and chemicals, it requires less maintenance, is easy to clean and has many design and color options to choose from. The value of your property will go up with a modification to your floor. 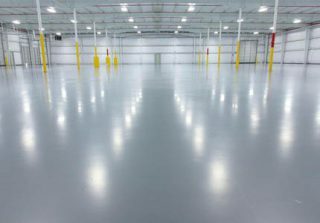 So if you’re looking for strength, beauty, or both, we can provide the best epoxy flooring and polished concrete floors in Hoffman Estates. Contact Beyond Concrete to discuss how we can help make your floors stand out. Our professional team is standing by to answer questions and guide you to the perfect epoxy flooring or polished concrete floor solution for your home or business in and around Hoffman Estates. Epoxy coatings are utilized in industrial facilities and offer optimum protection against abrasion, turbulence, chemical fluids and extreme temperatures. Their strength is their functionality, which provides a solid barrier against physical and chemical damages that are a common threat in an industrial environment. In any commercial space, the fashionable gleam of an epoxy flooring system will enhance the appearance and functionality of the interior. 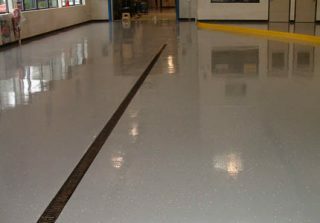 With a wide variety of epoxy floors, we’ve got an option, color or texture that will be a perfect fit for you and your commercial facility. From performance to good looks and durability, our polished concrete floors re carefully selected and installed to suit each customer’s individual requirements. 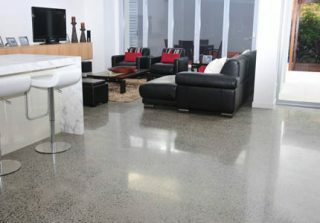 A polish concrete floor will refresh your home’s interior and provide superior durability and design. 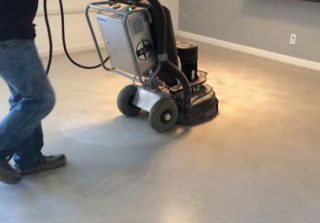 With a full preparation and installation service, Beyond Concrete can complete your polished concrete floors for your Hoffman Estates company, while your business continues unhindered. New polished concrete floors will ensure an attractive professional appearance and durable floors for your facility. We have huge variety of floor cleaning and grinding equipment in stock and we’re ready to start. We not only can do floor cleaning on warehouse floors, but pretty much any type of flooring system that needs a professional rehab. Who says performance and durability can’t go hand in hand with beauty? 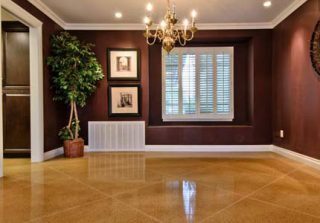 At Beyond Concrete, we supply and install decorative concrete floors that provide the powerful protection while transforming the look of your flooring. 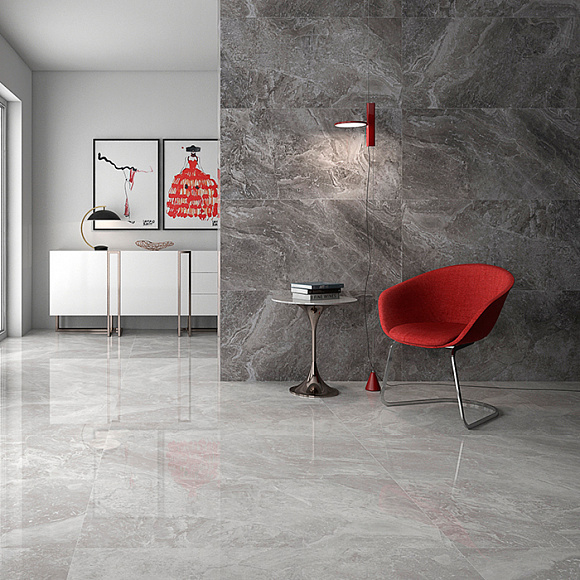 Our decorative concrete floors will prove that high performance can be beautiful. Beyond Concrete uses the best coatings and processes so our customers receive the highest quality service and product. You won’t find better quality and expertise when it comes to epoxy flooring in Hoffman Estates. We are an independent company and there are no franchise fees to pass on you. We serve commercial, residential and industrial customers in Hoffman Estates and surrounding areas and commit to the customer satisfaction of our neighbors. We maintain a committed focus on timely delivery of every project without sacrificing quality and availability. We do absolutely everything to make every customer happy and satisfied with our work. 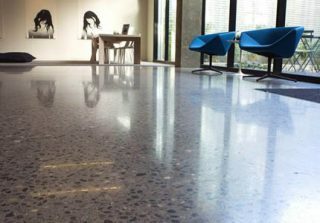 Beyond Concrete Inc. provides polished concrete & epoxy flooring services in Chicago and surrounding suburbs. Give us a call for a free estimate.